The footballer Giorgio Chinaglia, who would start his career in Wales before enjoying stardom in his native Italy and then the United States, was born on this day in 1947 in Carrara in Tuscany. 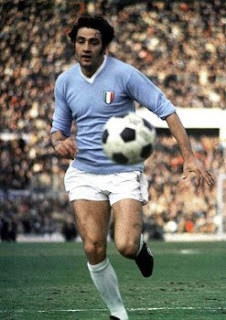 A powerful centre forward and a prolific goalscorer, Chinaglia scored more than 100 goals for Lazio. 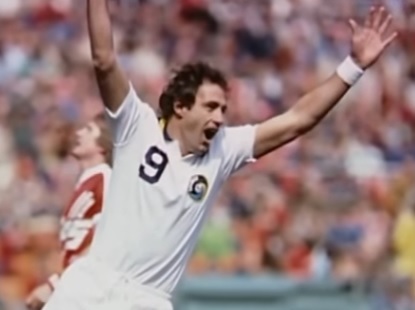 His 193 for New York Cosmos made him the all-time leading goalscorer in the North American Soccer League. 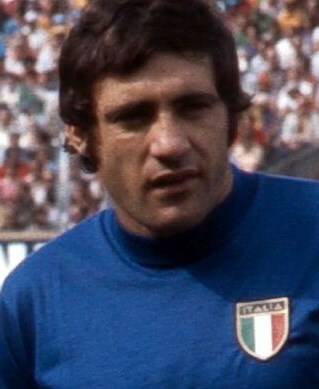 Chinaglia left Italy at the age of nine after his father, Mario, decided that his family would enjoy a more prosperous future abroad given the state of Italy's economy in the immediate wake of the Second World War. Jobs at a Cardiff steelworks were advertised in the employment office in Carrara and Mario successfully applied. He would eventually leave the steelworks to train as a chef, building on his experience as a cook in the army, and ultimately opened his own restaurant. The catholic schools Chinaglia attended tended to favour rugby as their principal winter game and his teachers saw in him a potential second-row forward. But rugby was an alien game to him and he much preferred football. Ultimately he was picked for Cardiff Schools, for whom he scored a hat-trick in an English Schools Shield match, in doing so earning a trial at Swansea Town. The Second Division club - now playing in the Premier League as Swansea City - signed him as an apprentice in 1962 but he was criticised for poor timekeeping, for having a casual attitude to training and being more interested in drinking, gambling and women. He had to wait until 1965 to make his league debut and after just six appearances - and one goal - in a 15-month period, he was released. National service then compelled Chinaglia to return to Italy. The experience was perfect for him, enabling him to train hard and develop discipline. On returning to civilian life, he was barred from playing for a Serie A club for three years because he had been a professional in another country. But he was able to play for Massese, a Serie C club in the neighbouring town to Carrara, before moving to Naples to play for another Serie C team, Internapoli, for whom he scored 26 goals in 66 games. Lazio gave him his chance in Serie A and although he was not an elegant player - more a big, bustling centre forward in the classic English style - he was a deadly finisher, scoring 122 goals in 246 appearances for the Rome club. Nicknamed 'Long John' for his resemblance to John Charles, the Wales striker who had starred for Juventus a generation before, he helped Lazio win the first Scudetto in their history in 1974, when his 24 goals included the title-winning penalty against Foggia. He made 14 appearances in the Italy national team but his international career ended abruptly in 1974 when was substituted in a game against Haiti in the World Cup finals in West Germany and reacted by arguing with head coach Ferruccio Valcareggi and kicking down a dressing-room door. Subjected to abuse back home, he took the bold decision to quit Italy for America. Married to an American girl he had met in Italy, he had already bought a house in Englewood, New Jersey and in 1976 joined New York Cosmos. The wealthy NASL franchise had signed up the Brazilian great Pelé the year before and Chinaglia would soon be joined in by former West Germany captain Franz Beckenbauer and other big-name stars such as Carlos Alberto of Brazil and Johan Neeskens of The Netherlands. But whereas these players were nearing the end of their careers, Chinaglia was a player in his prime. Coaches and team officials found him difficult, but the Cosmos were NASL champions four times during his seven seasons and he was the league's top scorer on four occasions, including three of the title-winning years. In all competitions, including the indoor league, he scored 262 goals. Aware of his star quality, Chinaglia would hold court for the media after games in the locker room wearing a brocaded dressing gown. He became an American citizen in 1979, but was tempted back to Italy in 1983 to become president of Lazio. His temperament was not suited to being a club official, however. and he was banned from football for eight months for threatening a referee. He died in 2012 in Naples, Florida, having suffered a heart attack. 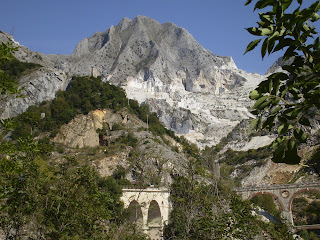 Carrara, a small city in Tuscany just inland from the Ligurian Sea coastline, is famous for its blue-grey marble, which is quarried in the mountains nearby and has been used since the time of ancient Rome. The Pantheon and Trajan's Column were both constructed using Carrara marble, which was also the material used for many Renaissance sculptures. Carrara is home to many academies of sculpture and fine arts and a museum of statuary and antiquities. The exterior of the city's own 12th century duomo is almost entirely marble. Società Podistica Lazio - Lazio Athletics Club - was founded in January 1900 in the Prati district of Rome, making it the oldest Roman football team currently active. Keen to attract players and supporters from outside the city of Rome, the club took the name of the region, Lazio. It might have gone out of existence in 1927, when the Fascist government proposed merging all the city's teams into one under the umbrella of AS Roma. However, Giorgio Vaccaro, a general in the Fascist regime and a Lazio fan, defended the club's right to keep its own identity, thereby creating one of Italian football's fiercest rivalries as the two battle each year to be the city's number one club.